#hands01 Hands for french clock. 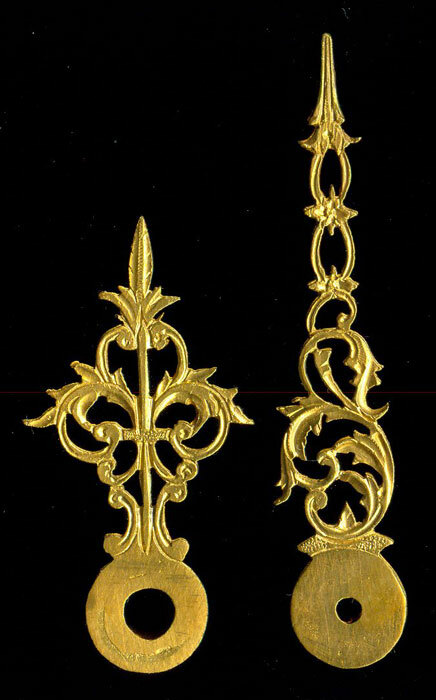  85,- length of hands (hart to top): minute/hour: 38/26 mm, thickness: 0,75 mm, gilded. Set Nr. 1. Price per set.